Hi my name is Caroline and I going to keep you in formed through out the year. Myself and Steve lived and worked in London all our lives we then moved to Hampshire 12 years ago and started renting caravans at Hoburne Bashley. We moved only 5 minutes away from Hoburne Bashley which is great for our caravans and customers. Steve is on call and does all the caravan mantainence. He also pops around on your arrival to check all is OK. It is so important that you and your family take a holiday, a rest from the normal daily routine. its important to have family time and do things together. its alway been a gamble with the weather in this country. But being together and with plenty to do can make a big difference. Bashley has it all. Indoor complex with games rooms, Swimming pools, entertainment for the whole family in the day and evenings. and if the weather is nice you could not be in a better area for sight seeing with the New forest just around the corner and beaches close by. Because of the weather we have now had to change the type of caravans that we hire to family`s. Heating has also had to change inside the caravans. The manufacture supplies 3 to 5 heater if you by the Luxury plus range. The bronze range only suppy 2 heaters.This is now not enough, We made the decision to add more heating and insulation to match the cold weather and keep you happy on holiday whatever the time of year you visit. We now have the Top of the range caravans with full central heating. We only charge £20.00 more as our Luxury plus range heating is as equivelant to the central heating. the extra £20.00 is for more of the extra luxury`s inside the caravans. We provide more cooking facilities inside the caravans so if you wish to cook to make your expenditure less for your holiday then this is the way to go, we only ask you to clean properly up after yourselves which makes it a bit easy for our cleaners. This clean up after yourselves requested by us is for the use of the kitchen only. Thank you. Just wandering if we have a new entertainment team this year for 2013. I will let you no. Last year the team had great voices and put on some good shows. Just going down memory lane with Dj Dave, How did the saying go. Press the button Dave, also not forgetting Matt, The entertainment terms do rotate so hopefully they might come back to Bashley for a season. I am so please with the new management here at Bashley park. so refreshing to have a change. Improvements to the park have started and already finished. Improvements for entertainment is great. They are renting themselves so all holiday makers are seeing much better entertainment. With Hoburne Bashley now renting caravans themselves our prices are looking very competive, our standards are high and we upgrade our caravans all the time which makes our caravans very desirable. We are closed for Christmas and only open a small amount of caravans in the New year. We are open February half-term 2013 weather permitting. So if there is anyone out there who wants a holiday in the winter, WE ARE OPEN, and the good news is our caravans are fully heated and the price is included in the booking price. Wishing you all a Happy New Year for 2013. Why not have your holiday here at Hoburne bashley and while your here go and visit Peppa pig. only a 45minuites drive from Bashley. We went with our grandchildren and they had lots of fun. When you stay at Bashley park you can buy tickets at reception for paultons park at a reduced rate. Start of the new season. Starting the year again with lots of fresh ideas for the caravans to make your holiday simply the best. For 2011. 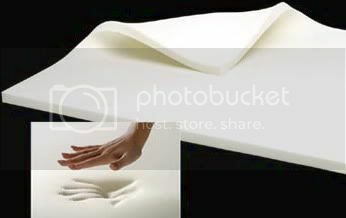 We are providing for the double beds Memory foam mattress toppers. I have enclose a pictue of what the foam looks like. We have gone to a huge expense to make the caravan double beds more comfortable. We would be greatful for feed back, was it worth us buying this extra luxury. Please let us know. Our grandchildren are staying with us for 4 sleeps and we have been taking them out everyday and today we went to Snowtrax, We left early afternoon with a packed lunch and lots of soft drinks, booked an hour for 2 of our grandchildren to ride down 2 different slopes. Booked half an hour for the third grandchild he is under 5 years and can only ride in a ring down the slope. After the rides we went into the adventure park, this also costs for all of us to gain entry, but they had a nice time playing in this park and we eat our picnic. I have included the website on my links page well worth a morning or afternoon out. I have enclosed picture of our afternoon out.